Duck Feather & Down Single Duvet 10.5 Tog From Litecraft. Keep your bed nice and warm this winter with this luscious single duvet, perfect for making those cold nights more bearable. 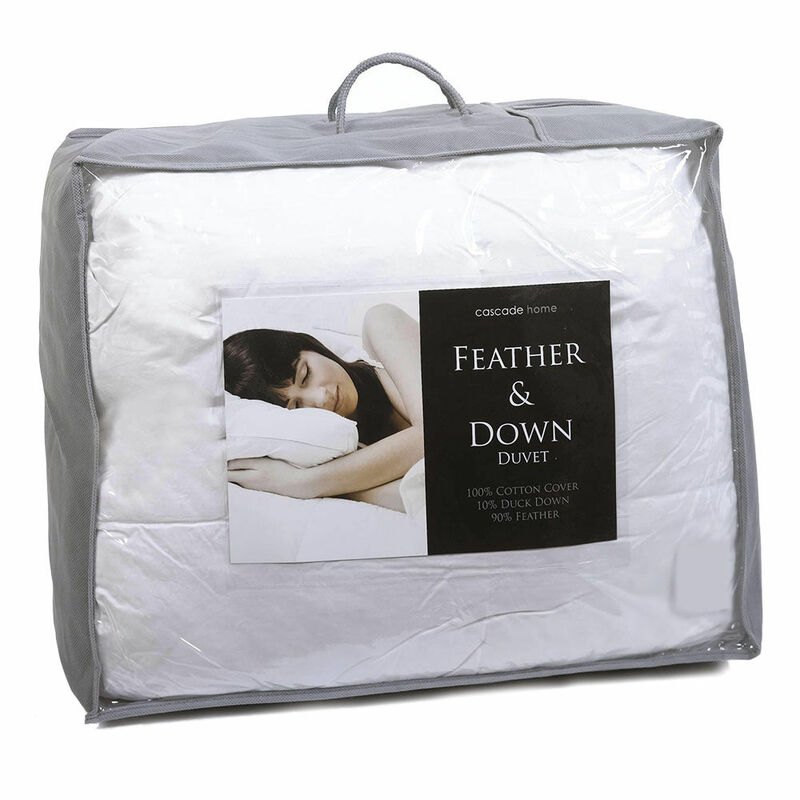 The 10.5 Tog Duck Feather & Down Duvet Single Duvet is a fantastic way of introducing some luxury comfort, and also some cosy warmth into your bedroom. The duvet has been generously stuffed with the most luxurious duck feathers and down, to produce a truly memorable sense of comfort in and bedroom. This duck feather and down filling is concealed with 100% cotton percale cover, which adds a softer touch to this duvet for extra comfort and bliss. When you mix all of these wonderful features together, it really does produce a very stylish and luxurious duvet that would be welcome in any bedroom looking for a great night’s sleep, whatever the weather.